Day by day prices of food items increasing in India. Life becomes tough, specifically for them those are living below the poverty line. We all need to think seriously about it and we must contribute in this work. This is really the best and organised way to help needy of our community. 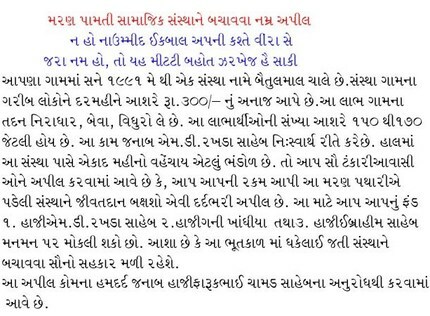 This is really the great vision of Tankaria Baitulmal Committee. This is an example to be followed by our community. 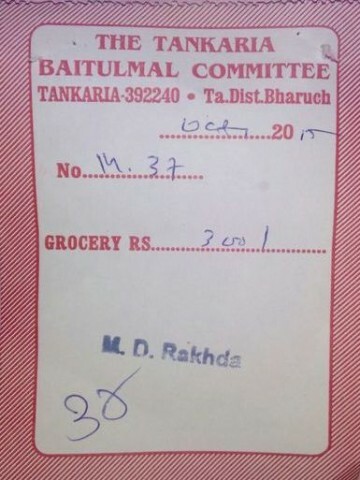 Sample of Grocery Coupon given to needy every month. Concept of Bait-al-Mal (Sweetness): Click on the below link to read more.